If the findings of a latest study are to be believed, a diet rich with nuts could improve the quality, quantity, and motility of sperm. Consuming a diet with 60 g of nuts could prove very effective for men's reproductive health. Men who are planning to start a family soon take note. If the findings of a latest study are to be believed, a diet rich with nuts could improve the quality, quantity, and motility of sperm. According to the study, regularly consuming a diet with 60 g of nuts could prove very effective for men's reproductive health. The results are to be presented at the 34th Annual Meeting of ESHRE in Barcelona. 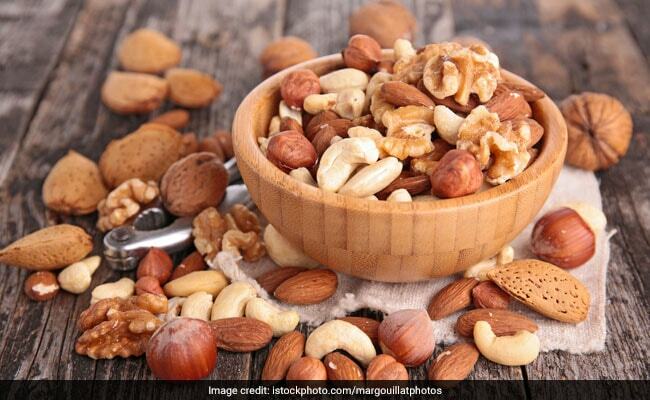 The findings showed that eating nuts could can boost sperm count by nearly 20 per cent, sperm vitality nearly five per cent, sperm motility by six per cent, and morphology by one percent. It was also observed that including more nuts in the diet was also tied to significant reduction in levels of sperm DNA fragmentation -- a parameter closely associated with male infertility. "Pollution, smoking, and trends toward a western-style diet" has led to a decline in quantity and quality of human sperm, said Albert Salas-Huetos from the Universitat Rovira i Virgil in Spain. The study "supports a beneficial role for chronic nut consumption in sperm quality" and reflects a need for further investigations into male-specific dietary recommendations, he said. For the clinical trial, the team included 119 healthy young men aged 18-35 for a 14-week diet plan to either take their usual western-style diet without nuts or supplement it with 60 grams/day of mixed almonds, hazelnuts and walnuts. The scientists said that the subject needs more investigation. 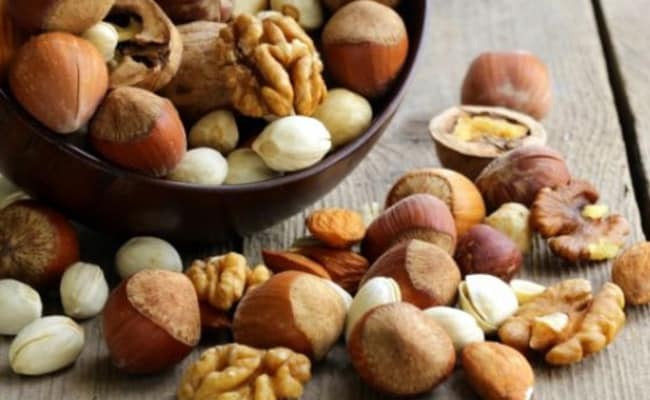 "But evidence is accumulating in the literature that healthy lifestyle changes such as following a healthy dietary pattern might help conception - and of course, nuts are a key component of a Mediterranean healthy diet," he noted. Nuts are a storehouse of health benefits, they are enriched with omega-3, antioxidants (vitamin C and E, selenium and zinc), and folate and other phytochemicals. Here are 5 more reasons to load up on nuts. 1. Heart health: Cashews, help lower LDL and increase the carrying capacity for HDL. HDL is responsible to absorb the cholesterol from the heart and take it to the liver where it can be broken down. Almonds are a good source of zinc, magnesium, potassium and vitamin E, which is said to do wonders for your overall heart health. Walnuts too are rich in omega 3 fatty acid or polyunsaturated fatty acid which are good for your heart. 2. Blood sugar regulation: Almonds also help in regulating blood sugar due to their high fibre content. The unsaturated fats found in pine nuts help increase insulin sensitivity. In addition, when eaten as a part of the meal, they can reduce the overall glycemic index. 3. Good for skin: Hazelnuts have decent quantum of vitamin E, folate and B vitamin biotin(which could do wonders for healthy hair and skin). Almonds too are loaded with skin friendly vitamin E.
4. Weight loss: Walnuts are a good source of protein and dietary-fibre, which helps facilitate weight loss. 5. Immunity: Pistachio nuts are profuse with antioxidants. It has heart healthy nutrients like betacarotene and oleanolic acid. They are also said to be good for immune function. Peanut Butter Vs Almond Butter: Which Is Higher In Protein?